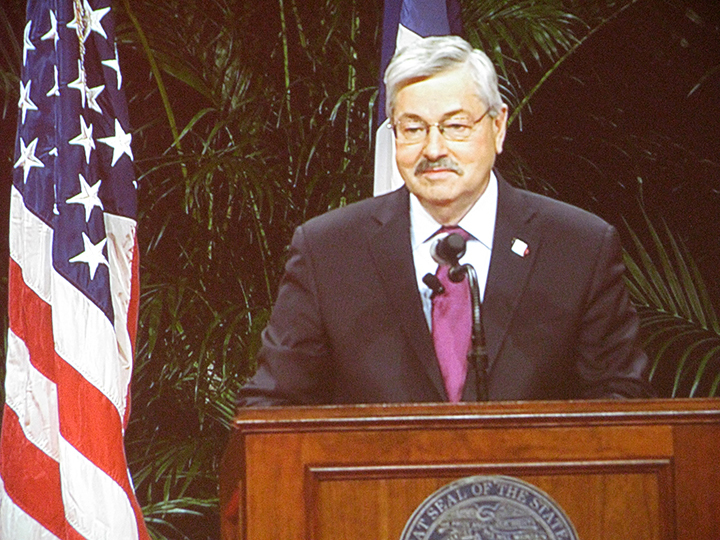 Update: According to Governor’s Office spokesman Jimmy Centers, Iowa Gov. Terry Branstad has been admitted to Iowa Methodist Medical Center and will remain under observation overnight “out of an abundance of precaution” following a health scare during a visit to an agricultural facility north of Des Moines. Branstad was touring the Dupont Pioneer facility in Johnston and was speaking to an audience when he began to struggle. According to eyewitnesses, he was slurring his speech and was helped to a chair, and then laid down on the floor to await medical attention. Conscious and alert, he appeared to be in pain, according to an eyewitness. The Governor was then transported by ambulance to Iowa Methodist Medical Center. Continue to follow The Iowa Statesman for updates on this developing story.